What a day that will be! Do you long for it? Does a world without suffering, sorrow or death even seem possible to you? According to God, not only is it possible, it is certain. From your current vantage point, particularly if the place you’re in is filled with pain, it may be hard to even imagine such a day. But God sees what we cannot see. He has a different vantage point. Consider this illustration. 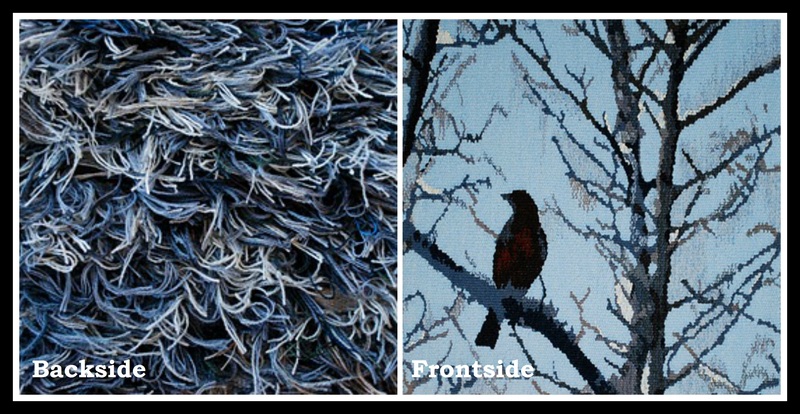 Tapestry is a form of textile art, where many threads are interlaced or woven on a loom. If you look at a finished tapestry from front side, it may depict a beautiful design or scene. But if you turn the canvas over to the backside, the yarns will often look completely chaotic. It may appear to have no resemblance at all to the image on the front side. The backside can be ugly. The world we live in can at times resemble the backside of a tapestry, appearing to make no sense at all. And when pain and suffering dominate our view, the world can even seem ugly. But God is weaving a beautiful tapestry. And if you could see the finished image on the other side of God’s design, you would realize that He has a plan, and that the result is something perfect and beautiful. God’s eternal plan is not hidden. He has given us His plan in the Bible. It is a good and perfect plan – one we can be certain of. Throughout the Bible, God reminds us that He not only has a plan for the world, He has a plan for every person in it, as well. Are there situations in your life that look like the backside of a tapestry? Regardless of how things may appear from the “backside” view, God has a plan for your life, and that plan looks entirely different from His vantage point. And God’s vantage point is what we see when we read the Bible. From Romans 8:28 we saw that “God causes all things to work together for good to those who love God, to those who are called according to His purpose.” If you love Him, then this verse is for you. How’s your love relationship with God? Ask God to show you anything that might be hindering your relationship with Him. If He reveals something that has come between you, ask Him to help you remove it. Categories: heaven, hope, joy, sorrow and grief, Uncategorized | Tags: purpose, satan | Permalink.